The hurling Championship is already a mouthwatering prospect. 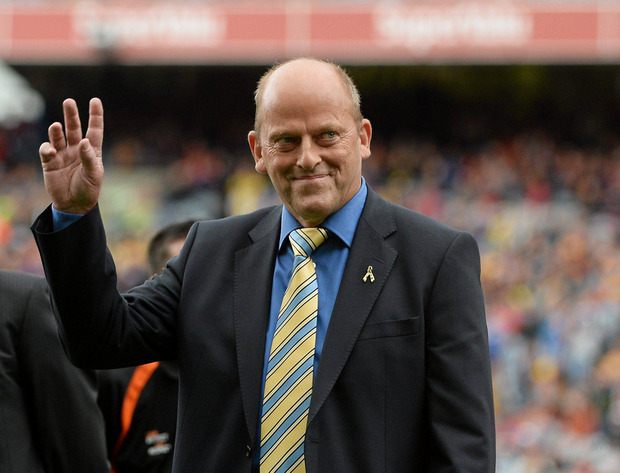 Ger Loughnane's comments about Kilkenny being "functional beyond belief" somehow became a story way bigger than it needed to be, though hurling fans must be glad it got the ball rolling after a spring where everyone was being too nice. As an aside, in most societies functionality is a prized concept - it means we do things that work, we make things people can use, we fix problems, we function. Somehow that notion is an insult in Ireland in 2016. Clare sure were functional against Kilkenny on Sunday. While the Tipperary-Kilkenny rivalry of the last few years has been intense and capable of producing amazing games sporadically it can't be considered a great rivalry because Tipp didn't win enough games. Clare fully fit, peace brokered with their footballing cohort, Donal Og in the back-room to stoke any fires that were drifting into embers, might well be a team capable of dethroning Kilkenny. Clare against the Cats was match-up we've been looking for since the Banner were crowned All-Ireland champions. They weren't ready for it until now. The third year of the Derek McGrath term in Waterford may well present us with a third proper contender. Their ability to unearth fully formed wunderkinds is Cork-esque and last year's experience was meaningful. They won't be as timid again. We have a ball game! Ger Gilroy The sport of MMA was under attack last week and struck a defensive pose. Perhaps understandly. It has been badly served by the silence of key stakeholders. Ger Gilroy The Leinster Schools Committee issued a statement last week about the recent incident involving a medic from Gonzaga and a referee. Joe Molloy Talking to Pat Nevin on the football show takes us to interesting places.